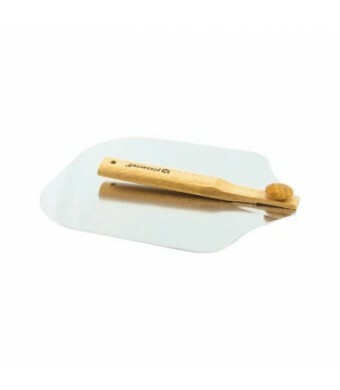 Easily transfer your pizza from the oven to the table with the Pizzacraft Pizza Peel, PC0216. It is properly sized for the Pizzeria Pronto and 600 series pizza ovens. Its long, hardwood handle provides increased safety when working with pizza ovens and open flames. It folds up when not in use for convenient storage. To use this BBQ pizza peel, turn the knob to the left to loosen the screw and turn the handle 180 degrees. Turn the knob to the right to firmly tighten the handle in the open position. Once you're done, simply reverse the process to put it away. 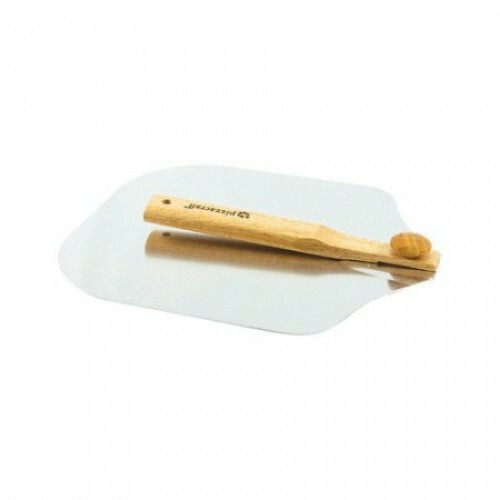 The Pizzacraft Pizza Peel, PC0216, measures 11.8 by 25.7 inches in the open position.